Fashion Design Courses - The SECRETS to Becoming a Professional Fashion Designer! Getting Started In The Fashion Industry Can Be Hard work- So Im Going to Let You in On the Professional Secrets to Getting The Killer Job You Have Always Wanted- All From My Exclusive Online Fashion Course! Within Minutes You Could End Years Of Frustration! Learn Fashion Design- Online Today! Discover How You Can Achieve Your Ultimate Dream of Becoming a Professional Fashion Designer !! Yes! Fashion Designers Get Paid $50-$100k A Year.. Yes its true. Im not Joking! Fashion Designers are paid up to $100k a year. Why? Because it is hard to find good fashion talent out there. After-all, you are designing clothes for thousands of people to wear! Could Your Designs Be On This Catwalk? You spend your weekends at the mall/ shopping centre- you just LOVE fashion! You absolutely LOVE the new season trends and cant wait to get your hands on the latest new looks! If It Has Been 'YOUR DREAM' To Become A Fashion Designer, Or Start Your Own Fashion Line- You Are In The Right Place At The Right Time! This Online Fashion Design Course Will Show You How! In The Fashion Industry Its Not 'What' You Know But Rather 'Who' You Know! "With over 10 years experience in the fashion industry, I have worked as a Fashion Designer and Ladies-wear buyer and I get to travel overseas 3 times a year to Tokyo, London, Paris, Hong Kong, Sydney and L.A.
As a Professional Fashion Designer I developed a skill to be able to predict what was going to be in fashion next, and what was going to sell! Fashion isn't about how good you can draw or sketch, or how good you can sew a garment. Fashion Design is all about knowing what people want to wear and developing a garment that will sell at the right price to your customer! 5. 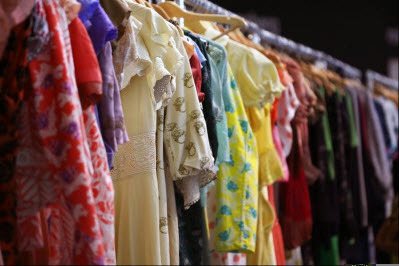 Know how the fashion industry and retail industry works. I have put a fashion course together from my experience as a successful fashion designer to help fashionistas like yourself get into the industry and start their careers.. The Words 'Cannot' Or 'Impossible' Do Not Exist Because If I Can, You Can- And This Online Fashion Course Will Show You How! It took me quite a few years to collate everything I have learned from the Fashion Industry- from trend research to product design- through to production....then getting your designs on the shop floor. 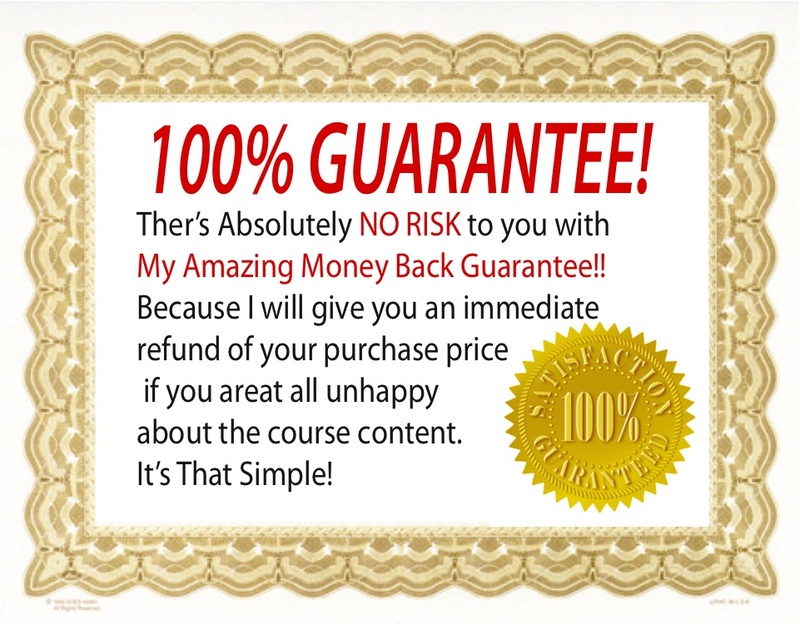 You should have absolutely no risk in ordering this online course- thats why we offer your 100% guarantee for 60 days. Simply Download it, and in the unlikely event you dont absolutely love it- you can return it for a full refund. "What a great fashion course! '' I Loved the Fashion Exercises at the end of Every Chapter- it really got me thinking, and developed my skills- plus I can use them for job interviews! I would Highly recommend this fashion manual to anyone interested in learning the ins and outs of the fashion design world! Kristie Trimm- USA. As a fashion enthusiast, I have been following fashion trends and this course really helped me to understand the differences between them. I would highly recommend this book to anyone who is thinking about taking a career in fashion, as well as those who wanted to get a job in the fashion industry.'' Bernadette Guadiz- USA. The outcome of reading this course manual is that I am now selling my designs at the local markets, and have recently started my own on-line store selling my creations!'' Jazmine- UK. STOP!! Before You Register For Fashion School Why Don't You Learn Everything You Need To Know From A Professional Fashion Designer? Many Fashion Schools are charging up to $1,200 for the information that I have included in this ONLINE COURSE. Yes, that means that you are getting the 'creme de le creme'!! I have kept the price as low as possible to make it affordable for young students, as I am passionate about sharing my knowledge of the industry with others!! 100% Money Back Guarantee! I Want To Help You By Making It Affordable To Become A Fashion Designer- That's Why I Have Made This Course Available Online! Like I said earlier, Many Fashion Schools are charging up to $1,200 for the information that I have included in this online course. I Believe that this information should be available to people just like you who may not have the thousands to go to fashion school, SO I AM OFFERING YOU an UNBELIEVEABLE PRICE that EVERYONE CAN AFFORD- A Special Price that no matter how broke you are, you can afford to start your dreams of Becoming a Fashion Designer!! Afterall Dreams are Priceless!! This is why I am Offering an Incredible Deal, and I am Giving the priceless info away to you for ONLY $47.00!!!! 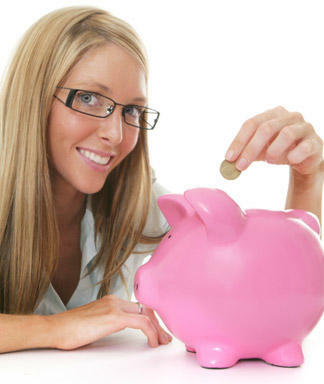 Save Your Parents Thousands on College Fees! Enrol and Study Online! There Are LIMITED Spots Available- Due To CRAZY PRICING- ONLY $47.00!! ENROL NOW- To Get This Free 'Fashion Templates E- Book' So That You Can Draw Your Designs Professionally! NOTE: We use ClickBank and Paypal services to process all orders. ClickBank and Paypal utilizes the strongest security and anti-fraud features available on the Internet and never stores your financial data on their system! They are approved by the Better Business Bureau. Are You Afraid That You'll Never Find a Job That You Truely Love And That You Are Passionate About? Why not knowing how to predict Fashion Trends can send you Broke! Learn How to Draw Your Designs within Minutes- Nail a Fashion Job! There is a job out there that you can get paid to design Clothes. And yes you don’t have to go to College or university for it. Actually most fashion designers haven’t even studied fashion, or have a degree! What makes us unique is that this course is written by a REAL fashion designer who successful had her designs in Department stores around the country. Real Fashion Industry Secrets that the professionals don’t want you to know about! How to design a Successful Range. What magazines you MUST read for the latest fashion goss and trends! You can learn how to be a fashion designer from your own home! No boring classes to attend. You can fit in your study at your own pace. No assignments to hand in. Only relevant information. No high college fees, or College dept to pay off! STUDY at HOME in Your own time. There are no physical classes to attend. Yes You Can Become a Fashion Designer! All You Need Is Someone In Your Corner ... To Guide You Step-By-Step! Q 1: HOW IS THIS ONLINE COURSE DELIVERED? A. Well, after enrolment you will be taken to a page to download the Course Manuals Straight On to Your Computer. You will also receive the course content by email as well, when you subscribe to the student list. All the course manuals are provided in electronic format- in PDF so you can read them easily, and save them on your computer or Ipad. The advantage is that it can be downloaded straight to your computer, laptop or IPad, and can be viewed at any time. It is a special digital format that allows easy reading, and you can save it to your computer so you can refer back to it at anytime. If you need to print out the course manual for any reason, you can easily do this by printing it out on your own home printer with a touch of a button. Q 2: ARE THERE ANY ASSIGNMENTS TO DO? A. Whilst there isn't formal assignments to hand in as such, there are fun and exciting activities at the end of each section of the Manual to test your knowledge of the fashion industry, and help you build a portfolio of examples of your work that can help you be successful in a job interview. Q 3: WHAT IF I HAVE QUESTIONS AFTER I HAVE DOWNLOADED AND PAID FOR THE EBOOK? A. You are very welcome to ask as many questions as you like. You can drop us an email at: info@becomeafashionbuyer.com. I am happy to help you in anyway I can to be successful in your new career! I Want You To Love This Fashion Course! Remember- You should have absolutely no risk in enroling in this online course- thats why we offer your 100% guarantee for 60 days. Simply Enrol and Download the Course Content, and If you don't find it helpful to you- you can return it for a full refund. Of course I would value your feedback - so that I can make this fashion course even better! Imagine How Jealous Your Friends Will Be When You Start to Become a Real Fashion Designer! ENROL NOW BEFORE YOU MISS OUT! !